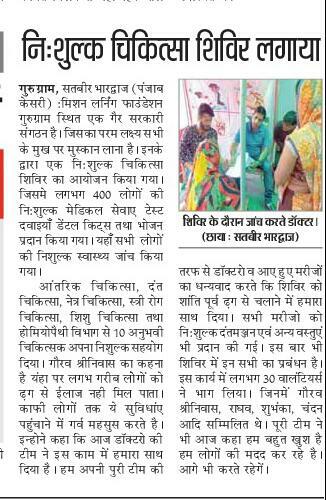 Medical Camp II, Faridabad - 10th Feb, 2018. Dainik Jagran, 12th February, 2018. Medical Camp III, Gurgaon - 8th April, 2018. Clothes Donation Drive, Delhi NCR, 15th Aug, 2017.